Spacious, versatile metal apex roofed shed. Large double, inside-running sliding doors. Size:	H2030 W3070 D2160 mm	Highest/widest points approx. Installation of foundation kit with shed only - UK mainland addresses only. With its wide opening sliding doors, the Lotus Apex Shed Heritage Green Solid 10x6 is a superb storage solution for your garden. 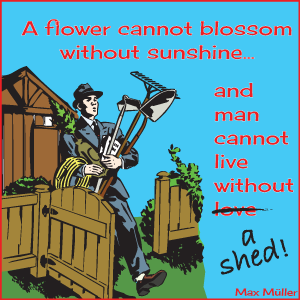 The Lotus range of sheds are the highest specification lightweight metal garden sheds in the market.